What Do You Say To Someone Who Saved Your Life? What do you say to someone who saved your life when you were 5 years old from a swimming pool? “Do you remember me?” Jones asked Poole. That’s something you don’t forget. Christopher Jones had previously almost drowned and his heart had stopped, but today he is 24 years old thanks to Officer James Poole. For years, Christopher has wanted to meet the man who saved his life and the person who allowed him to grow up and have a kid of his own. “Because of you, I’m still here,” Jones told Poole. “Because of you, this 5-year-old little girl right here is here.” reported The Columbus Dispatch. 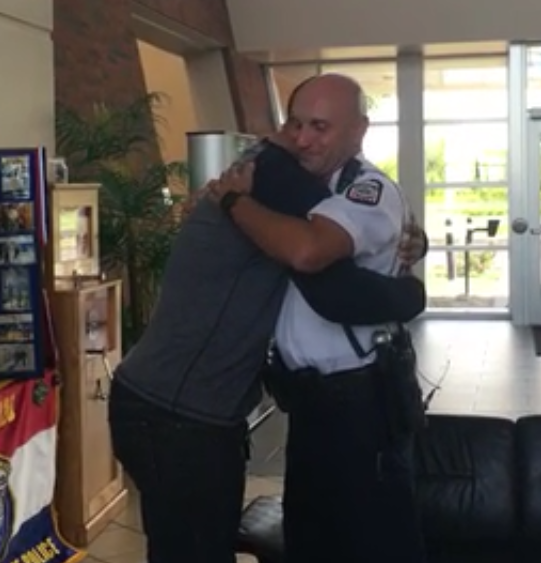 Get out your tissues and check out the video below. This is just the kind of story we love to cover in Good Vibes, especially during the political season when it seems like no one has anything good to say it’s nice to remember that’s not the normal way of life. There has never been a greater contrast of human spirit displayed than on 9/11. First, we were shocked, to put it mildly, with the pure evil that drove itself into the buildings of New York and D.C. Fortunately, this only filled up our hearts and souls, and what we saw next was the overwhelming outpouring of heroism and good will of the first responders and volunteers. We stood united, and everyone mourned and supported each other. I’d like to believe that we would always keep that feeling of support, especially for those that rushed in at their own risk, many of which that did not come back out. Those that did, worked for days, weeks, months, and years to rebuild. It turns out that the danger of working in the conditions left behind was not safe, and they continued to put their lives in danger. Now that we know this, we should have just as much support for them today as we did back then, but the politicians in D.C. seem to have forgotten the best part of the human spirit of that infamous day. 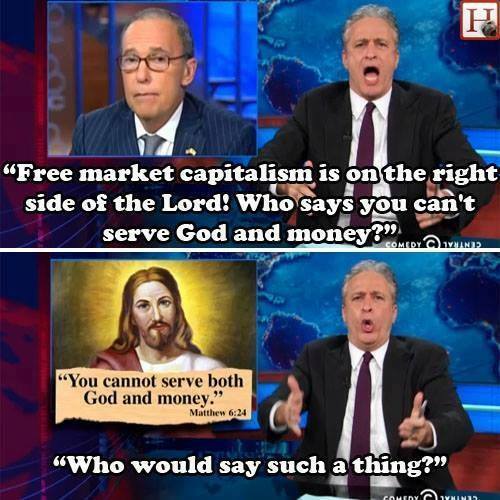 But that’s where Jon Stewart comes steps in. 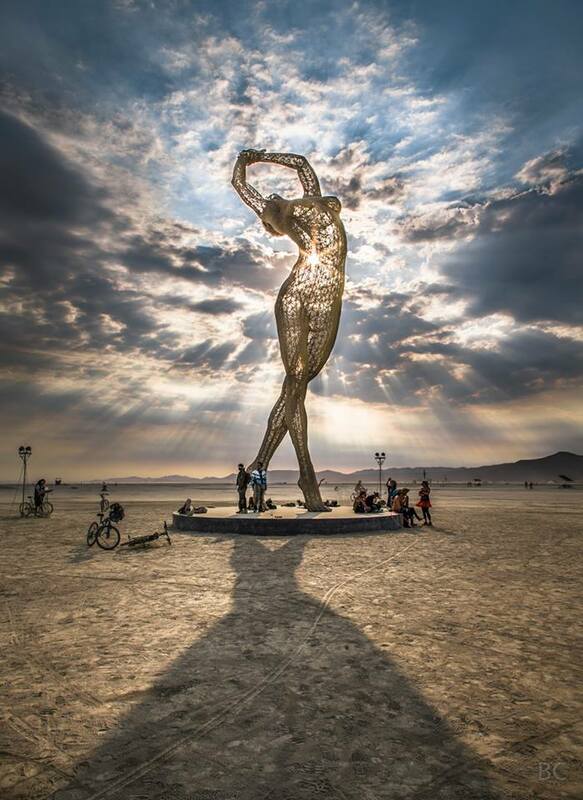 It’s that time of year again, Burning Man is gearing up in Nevada’s Black Rock Desert to create a temporary metropolis dedicated to self-expression and art. Unfortunately, this year there will be some uninvited guests attending in record numbers. Organizers have reported an excessive number of bugs taking over the area and the little critters have now been identified. Gizmodo asked entomologist Alex Wild what the bugs were from the below photographs and he advised the big one are stink bugs and the little ones are seed bugs. I’m sure you can guess why the stink bugs are called that, but just so you know, it’s because they let out a smell much like coriander. Stink Bugs can be quite a pest and they are attracted to light which will get really interesting once they start lighting up their famous sculptures. Perhaps it will solve the problem, go to the light little bug. Regardless of the bug issue, I’m sure the Burning Man participants will find a way to enjoy the festivities. 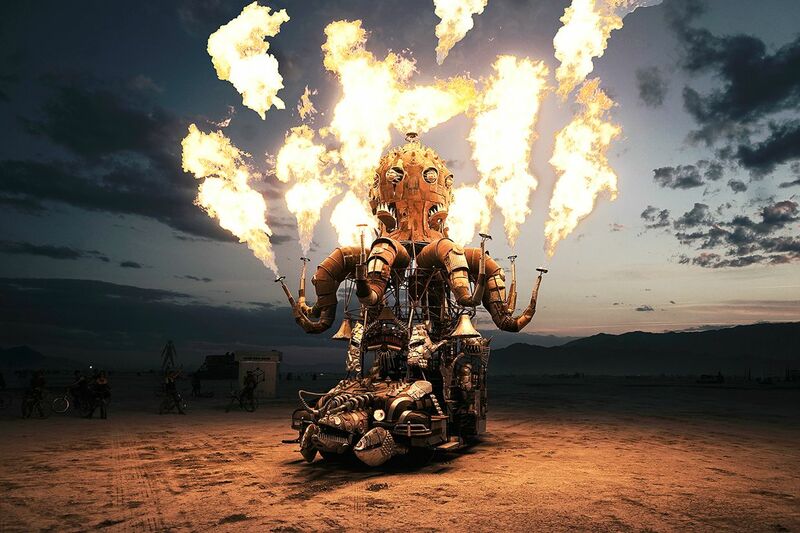 Just check out some of the previous photos we’ve found on Imgur that show what an awesome place Burning Man can be. But if you want more than just a taste, you should check out this montage. It’s one of the best that I’ve seen. 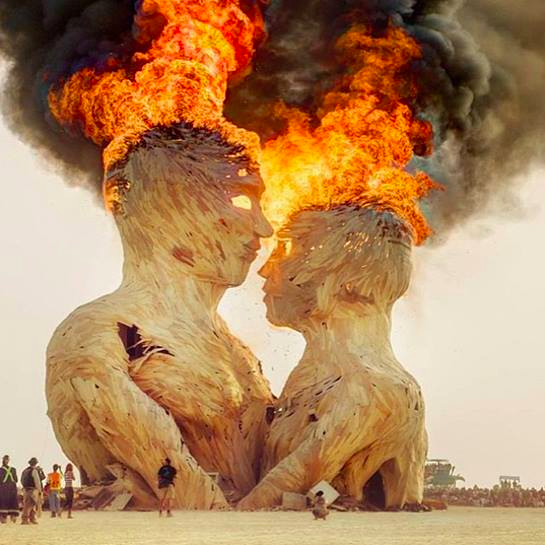 Here’s another one that will let you really immerse yourself in Burning Man by YouTuber Dr Yes and you can also head over to his website burn.life for more pictures. If you don’t want to go yourself after all of this, I don’t know what’s wrong with you! We always hear the negative stories, but now I’m sending out an Good Person Alert! Sandy Barbabella has been reading to shelter dogs at the Western Pennsylvania Humane Society for more than a year and a half since her dog passed away. She visits 1 day a week and reads children’s books allowing for some breaks to teach basic skills such as “sit” and “shake”. 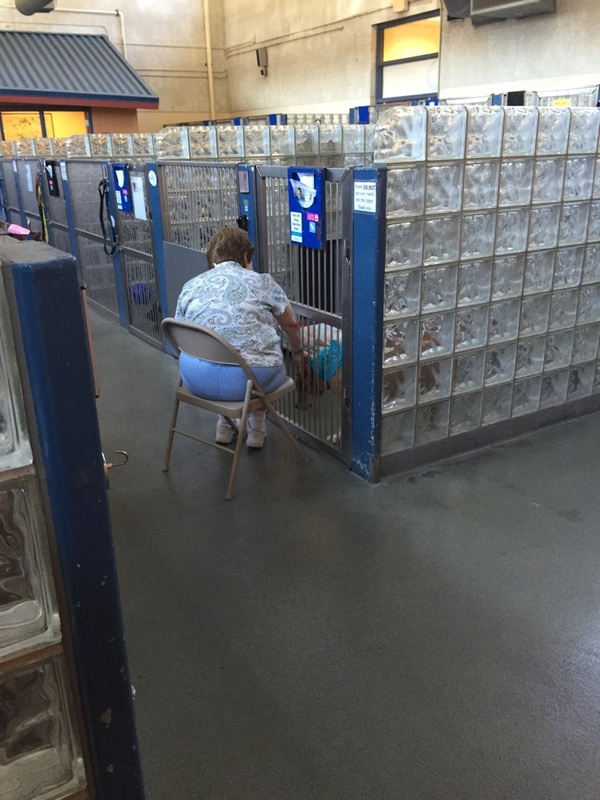 Her story went viral after the Reddit user puglife123 shared the photo and the internet did a collective “awwww”. Well, can I just say, Thank You, Sandy, for being the best person in the world right now. For me, I need to go now so I can figure out who’s cutting all these onions around here. 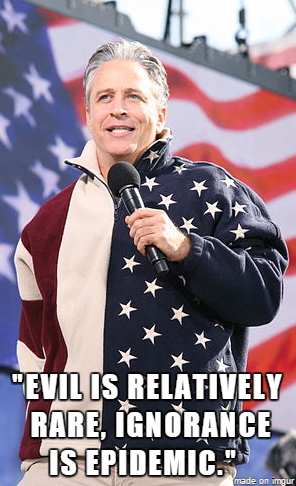 We knew saying goodbye to Jon Stewart was going to be hard, but the time has finally come. We will miss him dearly, but why don’t we look back at some of the good times before his final show tonight. Once you’re done with these, head on over to Comedy Central for their all-day marathon to have one last binge. Goodbye, Jon, they’ll never be anyone like you. Don’t have cable, you say? 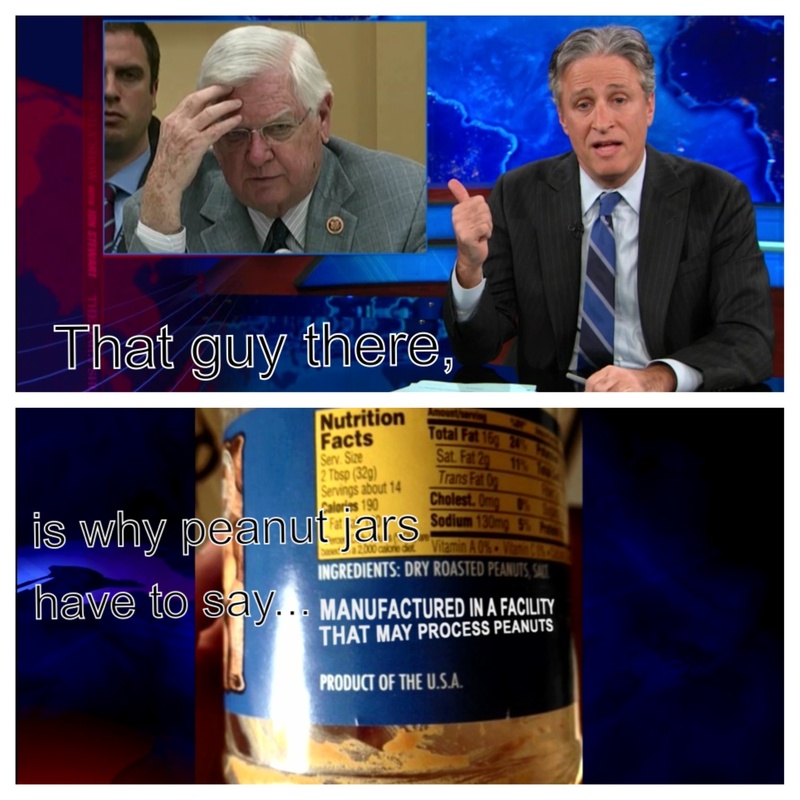 No worries, if you can’t watch him on TV, then you can always catch him on YouTube’s Daily Show Channel. In addition, Hulu.com has free episodes if you watch them on your PC. Might be time to catch up on some old episodes in case they go away in the future, don’t delay! 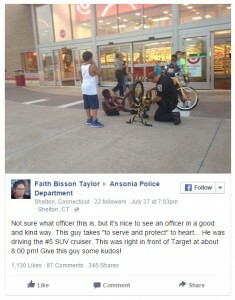 It’s about time we got a good story about a cop. I don’t know about you, but I’m tired of all the crappy stories about cops these days. I know the stories need to be told, but your psyche can only take so much if you don’t hear the other side in order to balance things out once in awhile. Someone happened to catch him doing his good deed and posted it on Facebook. However, he doesn’t even have a Facebook account and didn’t realize he had been spotted until it had already gone viral. Here’s an interview with Officier Castillo about his new found fame. But be sure to keep scrolling after that, because we have one more good cop story for you, just to prove that he’s not alone. Now, we wouldn’t want you to think that there’s only one good police officer out there. Turns out Sgt Erica Hay of the Ocala Police Department saw a homeless man sitting on a curb one day and decided to buy him some food and coffee. But not only did she give him a meal, she decided to take a seat and have a meal along with him. Well, I don’t know about you, but I feel a little bit better just reading these stories. It’s about time we recognize people for what they do right, rather than tear people down for what they screw up. At least that’s what we will do for this moment, briefly, and then it’s back to the grind. In an interview with the White God director at moveablefest.com, Kornel Mundruczo explains that the legislation that would tax owners of mixed-breed dogs more than pure breed dogs was actually floated as a real law. “I read this proposal for the first time, and it’s surrealistic,” says Mundruczo. “How you can separate for races and the breeds? It’s so sick.” Fortunately, the measure didn’t pass, but it did inspire him to make the movie. But this movie is more than just about the law, it’s a sweet story about a girl and her dog. She gets dropped off with her father who obviously doesn’t care for her dog. Soon enough, he leaves the dog out on the streets to fend for itself which leaves them both broken hearted. However, Hagen the dog doesn’t take it lying down. He starts a canine revolution to find his human friend and it is just as sweet and tear-jerking as it sounds. Take a peek at the trailer and I dare you not to reach for a tissue before it’s over. Bonsai the bulldog is a puppy born with several deformities which will challenge him for the rest of his life. He has caudal regression and sacrocaudal dysgenesis, which resulted in malformations including half a spine, no functional pelvis, and tiny contracted hind legs. His owners contacted Friends of Emma, a private rescue home in Fort Worth, Texas, for help and they got him to the right veterinary professionals that could perform life-changing procedures, but he’ll need more moving forward. Fortunately, the power of social media is making that possible as his story has made the rounds and donations are starting to flow in. If you’re interested in helping little Bonsai out, his link is just below these cute little pictures. Nasir Sobhani is a 26-year-old barber in Melbourne, Australia who has taken to the streets to help the homeless by giving haircuts as part of an initiative he calls “Clean cut, Clean start”. The “Streets Barber” began his effort approximately a year ago as a way of giving back after he had become clean himself. He was a former drug addict and was working as a barber apprentice during rehab. Another former addict came in with his mother to get a haircut and he remembered how much it meant to them both to get that fresh start. It really kicked off the whole thing. Learn more about Nasir and the documentary at his Instagram page.